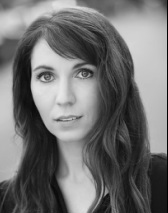 Elizabeth received her BA in Theatre from Fairfield University, and has trained at Stella Adler Conservatory and HB Studios. As a proud member of AEA and SAG AFTRA her credits include regional productions at PaperMill Playhouse, Hartford Stage, Vineyard Playhouse, Ivoryton Playhouse, Stoneham Theatre, WAM, and Lost Nation Theater. New York credits include new works at BMI, The Brick, The Workshop Theatre, and the Frigid Festival. Elizabeth can be seen in the upcoming web series Honestly,Amelia. She is a founding member of Fifth Letter Productions, a Connecticut based AEA theatre company dedicated to the development of new plays. Elizabeth has been teaching students of all ages since 2011 and is delighted to join the WTCAE's faculty.